« Rhoda Scott 80 … Concert @ Budapest – 2019. After hundreds of years, the castle of Buda was loud again with the ring of swords and armor. In the Budapest Historical Museum, the world of knight tournaments was summoned by the Hungarian artists of the. spectacular fighting sport called Buhurt. Tradition and martial arts meet on HISTORY Channel‘s program: the MMA armor series clashes with the knights of modern age week by week. This is not a choreographed show but full contact combat sport that’s gaining popularity all over the world. In the US, fighters are members of the Armored Combat League. In Hungary, the sport is known as buhurt after the French word that meant the group combat event of medieval tournaments. Fighters in Hungary have formed clubs in several towns including Budapest, Szolnok, Szeged and Debrecen. Their umbrella organization is under the Hungarian Buhurt Association. HISTORY is a place where history comes alive in shows where weapons of the past become instruments of drama in the hands of today’s heroes. These shows teach viewers about ancient bladesmith, knights and battlefields through gripping human interest stories. Forged in Fire and its spin-off, Knife or Death have been among HISTORY ’s most popular shows for years. In Forged in Fire, blacksmiths compete in a three-round elimination contest to forge bladed weapons. In Knife or Death, top bladesmith and martial artists bring their historical weapons through a series of extremely gruelling challenges. Now, a new show takes reviving history to a new level. For centuries, knights were the ultimate warriors, ruling battlefields with skill, courage, and the brute strength it takes to fight in 60 pounds of plated armor. Today, there are still men who dream of testing their worth in medieval-style warfare. 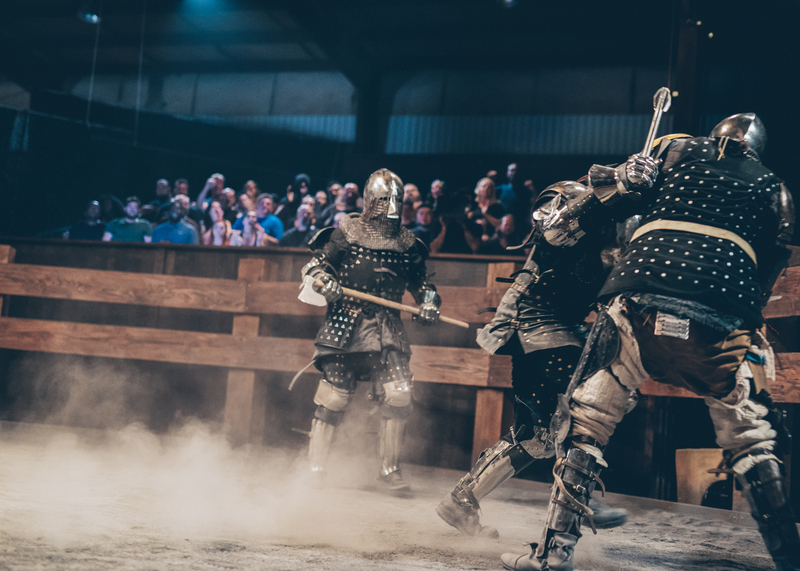 In Knight Fight (MMA – in armor), each episode features six contestants willing to risk life and limb in a series of challenges to see who will reign supreme. Tradition and martial arts will also be featured on HISTORY Channel in the MMA armor series, weekly on every Wednesday at 10 p.m. from the Gothic Hall of the Budapest Museum. It is at the oldest parts of the Royal Castle of Buda.